As you may have gathered, I am a big fan of Sir Ken Robinson. It all began when I first saw him at Radio City Music Hall when he spoke before 6,500 at the 2008 NAIS Annual Conference. Then again, it was his TED Talk that was inspirational. Now, after reading his recent book, The Element, I continue to be convinced that he understands human nature and the precious qualities of the imagination and creativity in children and adults. 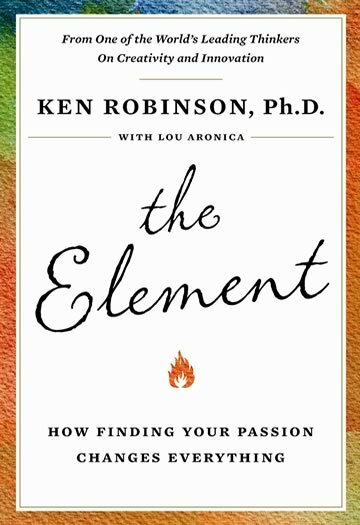 The best part of The Element for me is reading story after story of people who have come into their element — some in their early years but many in their later years. Gillian Lynne, James Earl Jones, Ewa Laurance, Mick Fleetwood, Richard Branson, and many others. Listen to this seven minute clip of Robinson talking about the book.